This advertising feature is brought to you by Underbelly. Find out more. Planning a day out at the Edinburgh Festival Fringe can be a daunting task – with a massive 3,548 shows in 317 venues across an entire city, you may not know where to start. Add kids into that equation and it can feel like mission impossible. However, a family-friendly day out at the Fringe doesn't have to be stressful for you this year as we've planned out the perfect day for anyone who hopes to visit with their full crew. From where to eat, to what shows are kid-appropriate, and where to go in-between the shows, we've got you and your little ones covered. Hangry kids are what every parent wants to avoid at all costs to ensure a successful day out. Finding somewhere to eat that is suitable for kids can be tricky at the best of times, but in Edinburgh during the Fringe, when the population swells, it can be particularly hard. If you need a lot of space for buggies, bags or just kids who like to encroach on others' space, then Vittoria on the Bridge is the ideal place to go. The local Italian is situated in the heart of Edinburgh where all the Fringe action happens and offers a fantastic kids menu with lots of choice for fussy eaters. If you find yourself nearer the Scottish Parliament and Dynamic Earth, head to Hemma, a family-friendly haven during the day which serves up Swedish food, like smörgåsbord platters, alongside yummy cakes and brunches. Head to @pizza if you find yourself out of the centre in Edinburgh's west end. 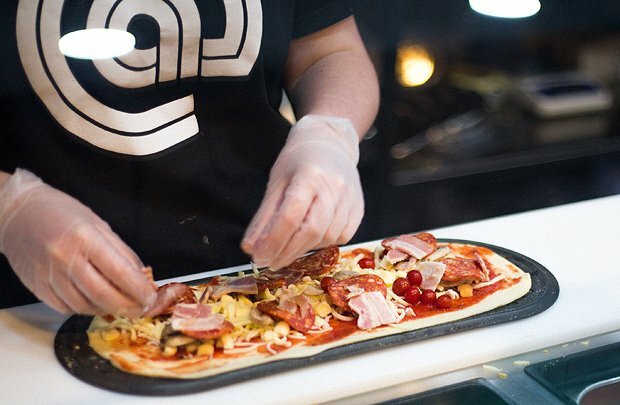 Their concept is an interesting one, giving diners the chance to construct their own pizza which will no doubt keep the kids busy while letting them have some creative, messy fun. Spending the whole day out-and-about in Edinburgh during the festival can be tiring for little legs (and big ones), so it's good to know where you can stop to relax between shows. Check out Underbelly's massive upside-down purple cow that takes residence in George Square. The area is a haven of bars and food stalls so you can laze around and take in the atmosphere with a drink. The Circus Hub is another area where you can chill with the fam, the nearby Meadows are ideal for enjoying the outdoors (weather permitting) and there is also a playground where kids can blow off some steam. If you want to kill some time, but like to do that while being busy, street performers are a staple of the Edinburgh Fringe. Lining the High Street and Mound, hundreds of artists strut their stuff daily. Meander from one to the other and see the amazement in your kids' eyes while the time slips by. The highlight of your day-out in Edinburgh will undoubtedly be the world-class shows that you see. Finding out which shows are suitable for the kids at the Fringe can be hard, especially when you want to make sure it also keeps the adults entertained. The folks over at Underbelly have recognised just that and provide a great selection of family-friendly shows that even the adults can enjoy. 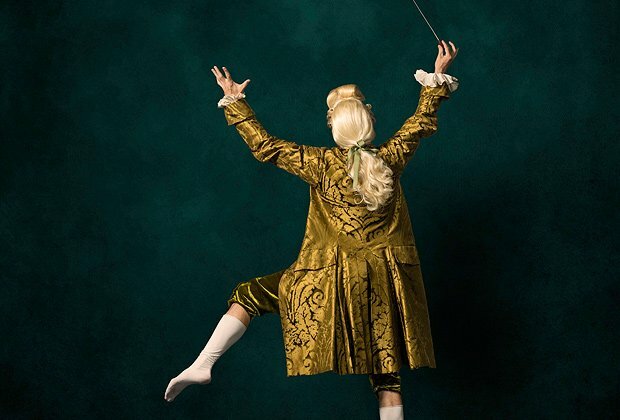 Circa: Wolfgang fuses together the arts of circus and music with Wolfgang Mozart reinventing his classical masterpieces with a circus twist. The kids will laugh out loud at the cheeky acrobats and silly fumbling humour. The Splash Test Dummies also bring a side-splitting show with the dummies embarking on a water-filled circus adventure. Expect stunt work, acrobatics, juggling and belly laughs as the dummies get wet and wild. 2018 marks the 10th anniversary of Brainiac Live! at the Edinburgh Festival Fringe. 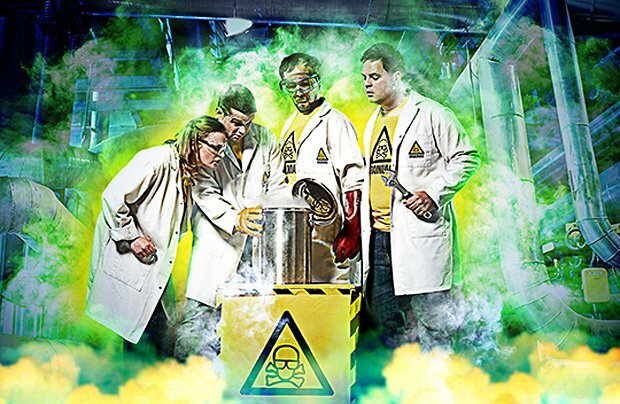 The daring live science studio presents crazy experiments (that are not to be tried at home) and the cool, weird mysteries of science. If you're not from Edinburgh or don't visit regularly you may want to take the opportunity to check out some attractions. 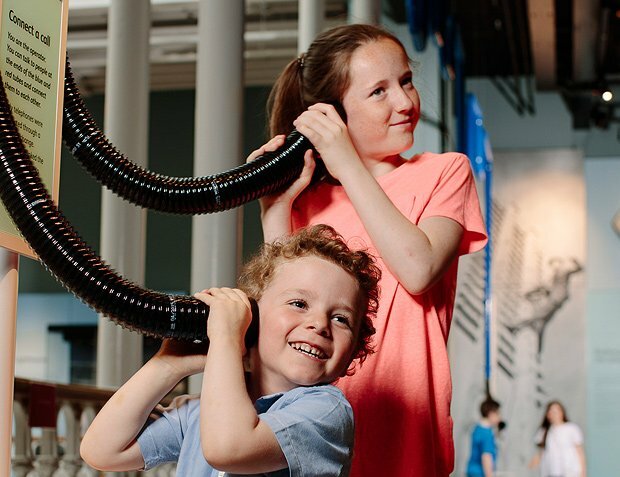 The National Museum of Scotland is free to enter (special exhibits have an entry fee) and offers a number of galleries and events specifically for children. Another free museum where families are welcome is the Museum of Childhood. It is the first museum in the world dedicated to childhood and you can learn all about toys of the past and how children grew up through time. Finally, Dynamic Earth, the top visitor attraction in Edinburgh, is a must-see. It's centred around the big-bang and educating people on how this moment shaped the earth we live in. The building's location beside the Scottish Parliament and Arthur's Seat means you can also take in other important Edinburgh landmarks at the same time. An imaginative concept where diners can create their own pizzas for takeaway or eating on the premises. Bustling city-centre venue with a loyal, friendly staff serving Italian classics made from quality ingredients. This Royal Mile museum contains a collection of toys, clothes and memorabilia from the last century, spread over three floors. Sound recordings bring to life the atmosphere of a playground, and a large section of the ground floor is a dedicated toy shop. Hearty and heartfelt, Hemma’s Swedish-inspired dishes warm the bones on even the coldest of Nordic evenings.